Teaching, Learning, and Technology (TLT) Services provides a wide range of services to empower faculty and staff to use technology effectively and explore new technologies that enrich digital life and learning. TLT provides individual and departmental assistance just-in-time and by appointment. Call or visit during normal business hours or send an email any time. TLT offers programs designed to meet specific faculty and staff needs. Watch for invitations and contact TLT for additional information. WeTeach - A program for instructors interested in teaching high-quality online courses. Featuring both a Foundations and Advanced track, this program is designed to support instructors at all levels of experience. New2WSU - A program for new instructors that introduces them to campus technology and how to integrate it into their courses to best support their pedagogical goals. OAS Community of Practice - A program for office administrative assistants that focuses on the effective use of collaboration, productivity, and assessment technology in an office environment. Data Security Training – TLT manages several online courses for employees related to data security, including Public Jobs Private Data and PCI Compliance. Employees are notified if they need to take these courses. TLT hosts onsite and online workshops covering a variety of topics. Visit the Professional Learning Opportunities to register for an upcoming workshop. TLT hosts weekly, brief online sessions focused on time-sensitive topics. Watch for weekly updates and there is no need to register. Just use your web browser to join the TLT eClinic Room as a guest at the scheduled time. TLT works with instructors to develop and deliver student training that is customized to meet their specific course needs. Consult the Knowledge Base for more information and contact TLT to request customized student training. TLT maintains several online resources for self-paced learning anytime, anywhere. Find answers to your immediate questions or take an online course. WSU Technology Knowledge Base - A growing wiki library of technology information, documentation, demonstrations, tips, tricks and good practices. WSU LyndaCampus - Members of the WSU community can access a library of over 2000 online courses taught by industry experts covering technology and other related topics. Consult the Technology Knowledgebase to learn how to activate your account. 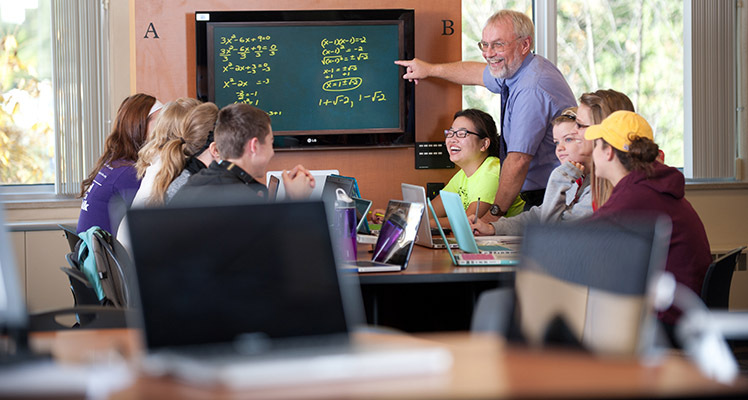 TLT helps design, install, and maintain instructional technology in campus classrooms and other learning spaces that adhere to WSU’s classroom standards. WSU’s physical classrooms support today’s technology-enabled instructional methods, leverage the mobility afforded by our eWarrior Digital Life and Learning Program, and enhance classroom communication and collaboration in all academic disciplines. With thousands of WSU community members passing by daily, digital signage monitors are a great way to get the word out about events, opportunities and meetings. In addition, digital signage is a green technology that can replace reams of paper announcements and posters. Learn more about digital signage. Please direct any questions or comments to TLT. We are working to create a series of accessibility services for Faculty & Staff. Until a list of services is provided, please contact the TLT with any questions. For emergency classroom support, call 5240 on your classroom phone.